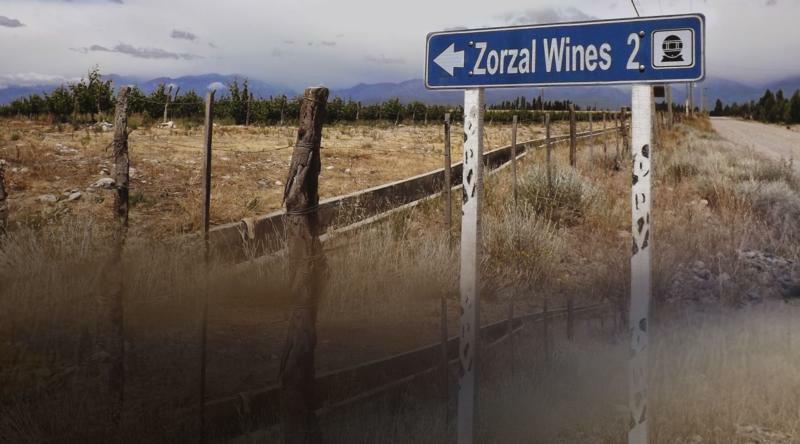 Zorzal is a young, boutique winery that was founded in 2007 by the Michelini brothers, Gerardo, Matias, and Juan Pablo ("Juampi"). They completed their first vintage in 2008. The winery and vineyards are located in a section of the Uco Valley called Gualtallary ("Gualta"), outside the town of Tupungato, at approximately 4,500 feet above sea level. The Zorzal winery is the highest winery in Mendoza. The estate consists of 70 hectares on a unique blend of sand, stones, and limestone and is planted to multiple varieties including Malbec, Pinot Noir, Sauvignon Blanc, and a few others. The grapes are all hand harvested and Juampi's vision is to have a light hand in the winemaking to let the fruit and terroir shine. The winery practices organic methods in the vineyards and uses only indigenous yeast in the winemaking process. Wine Advocate 90 "The 2017 Terroir Único Pinot Noir fermented with indigenous yeasts in concrete vats, where it was kept until bottling. It's a fruit-driven, fresh Pinot Noir sold at an incredible price. Clean, ripe without excess, with a light to medium-bodied palate, fine tannins and juicy fruit.